Duke’s endorsement was for none other than U.S. President-elect Donald Trump’s newly-appointed chief strategist and senior counselor, Stephen Bannon. Indeed, the spot reserved for a stalwart figure near the White House’s Oval Office has been extolled to the highest caliber by the KKK. And with a laundry list of offenses aimed at nearly every category of people that aren’t straight, white, Christian men, the appointment of a bulwark for the alt-right movement, solidifies Trump’s commitment to deeply entrenching bigotry in government. 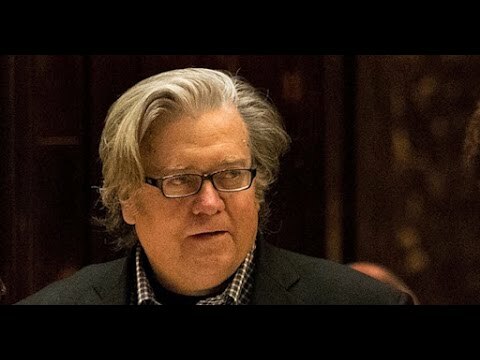 Bannon, who has overseen the growth of Breitbart News Network, the third largest conservative media outlet in the United States, has himself called it “the platform for the alt-right.” And the head honcho for a news network that blares headlines such as “Birth Control Makes Women Unattractive and Crazy”, “Gay Rights Have Made us Dumber, it’s Time to get Back in the Closet”, and "Hoist It High And Proud: The Confederate Flag Proclaims A Glorious Heritage", is likely to air these views in office. The far-right ideologue is, however, a perplexing figure: the Harvard-educated, former Goldman Sachs banker, who has invested millions in the T.V. show “Seinfeld”, has reportedly called himself a “Leninist”. This, all the while he believes progressivism is simply a philosophy of victimhood. “They’re either a victim of race. They’re victim of their sexual preference. They’re a victim of gender. All about victimhood and the United States is the great oppressor, not the great liberator,” he has said. “Mr. Trump has talked about draining the swamp. But, he has chosen someone as his chief strategist who created a ‘cesspool for white supremacists,’ in the words of one of his former associates at Breitbart,” remarked Southern Poverty Law Center (SPLC) President Richard Cohen. Indeed, Cohen was referring to Ben Shapiro, a widely-known conservative commentator that worked closely with Bannon at Breitbart, who published a piece in the Daily Wire calling him a “vindictive, nasty figure”. From expressing his dismay at the fact there are too many Asian CEOs in Silicon Valley, to his praise of far-right Hindu nationalist Indian Prime Minister Narendra Modi, to his support of both the anti-abortion and ‘traditional marriage’ movements, Bannon’s appointment rightly has many up in arms. More than 360,000 people have signed the SPLC’s petition calling on Trump to drop his appointment of Bannon, after just one day of the petition’s launch. But within a racially polarized nation, many are celebrating too. Indeed Bannon himself has invited the support of anti-Semites, as he harbors the same views His ex-wife, who police reports have said he physically abused, accused him of anti-Semitism during divorce proceedings, saying that he refused to send their daughters to a prestigious school in Los Angeles because it had too many Jews. Further, as a former filmmaker, he acknowledged that he studied the work of top documentary makers, including Leni Riefenstahl, who was the creator of Hitler’s powerful propaganda films. “You have to learn from those past masters,” he said. "There must be no sugarcoating the reality that a white nationalist has been named chief strategist for the Trump Administration,” said House Minority Leader Nancy Pelosi, in a statement Monday. Added Sen. Cory Booker, "Elevating Steve Bannon … to one of the highest positions in the White House installs a man with fringe and dangerous ideologies just steps from the Oval Office."